With all the recent excitement over the eclipse, I thought I would see if I can stir up some excitement over the Mars opposition that will occur in 2018. I've been looking forward to it for a couple of years, even throughout the 2016 opposition. It has been exciting to me ever since I learned the statistics. You see, the 2018 opposition will be the closest to Earth in decades with a distance of only 57.72 million km from Earth. The apparent diameter will be 24.3 arcsec and -2.8 apparent magnitude. Even if you don't usually do planetary observation or AP, this will be one not to miss. The exact opposition will occur on July 27, 2018 but of course it will be really spectacular for a few weeks before and after. Lets hope for clear skies!! upfyrman, j.gardavsky, helicon64 and 14 others like this. I will continue to hone my imaging skills in the hope of adding Mars to my planetary image collection. I hear told that Mars will be as big as the Full Moon! Okay, I know that's nonsense - more seriously, I am looking forward to this too, hopefully I can be back in a good observing rhythm by then! bikerdib, starlogborg, Bigzmey and 1 others like this. I guess I should correct my statement, the 2003 opposition was a little closer. I should have said that this will be the closest in over a decade. But really, are we going to quibble about a couple of million KM considering the grand scale of the solar system? This will be the second closest in "modern astronomy" times. KingNothing13, ProfEclipse and DeeFitz like this. 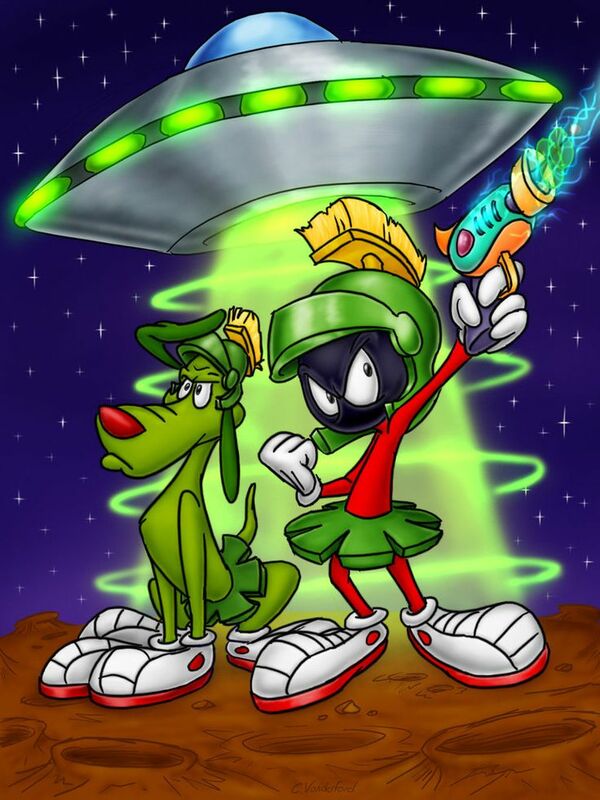 I'll have my scope pointed at Marvin's Planet. helicon64, bikerdib, rickg18704 and 2 others like this. I got a little curious about the statistics so I found a NASA article about the opposition. The 2003 opposition was the closest in almost 60,000 years previous. And after the 2018 opposition, the 2003 record will stand until the opposition on August 28, 2287. I don't know about the rest of you, but I doubt I'll be around for that one. So, since the difference in how close Mars will be between the 2003 and the 2018 is only around 1.98 KM, I'll take it. Lets put it this way, the 2018 opposition will be the second closest in almost 60,270 years!! j.gardavsky, KingNothing13, combat48 and 4 others like this. I'm definitely hyped for the opposition, even though I'm not usually a planetary guy. But let me add something for us northerners. Although the 2018 opposition will be the closest/largest in decades and the closest/largest for decades to come, it will be very far to the south. So the further north you are, the lower in altitude and more in-the-muck Mars will be. Is this reason for despair? Not as I see it. The 2020 opposition will be almost as close as the 2018 opposition but Mars will be *way* higher in the sky. 2018/2020: declination is -25d30m/+5d26m (over 30 degrees higher! ), angular size is 24.1"/22.3" (just a little smaller). Does this mean the event to get excited for is the 2020 opposition, not the 2018 opposition? Not for me. Oppositions of Mars don't come often, so if you don't know what you're doing, you're not going to get as great an image or visually see as many details. So if you don't get excited for the 2018 opposition and give it a serious go, then when 2020 rolls around you won't have the experience to get everything you can out of the 2020 opposition. bikerdib, ProfEclipse and DeeFitz like this. Pretty excited over the opposition and viewing Mars through an 18" scope. Through the Z10 it has never looked like much. Just a little disk, with no features visible. Mark Moyer, bikerdib and DeeFitz like this. That's true Mark. The 2020 will be almost as good and as you say, it will be higher in the night sky. But, since I'm in southeast Texas, the 2018 will be pretty good for me with regards to the position above the southern horizon. Mark Moyer and DeeFitz like this. Mars was hit and miss for me this last trip around the Sun. A lot of nights near opposition where either clouds or bad seeing wrecked my views. Here's hoping 2018 brings us a lot better weather. helicon64, Mark Moyer, bikerdib and 2 others like this. Positions of the Moon, Mars, and Ceres in May 2018?